Long before rock `n roll concert promoter Moe Septee brought bands like The Rolling Stones, The Doors, and Janice Joplin to Asbury Park’s Convention Hall in the 1960s, there were the Rediker brothers. In the forties and fifties, the three brothers, Joseph, William, and Albert (Joe, Willie, and Al), leased, at various times, the Convention Hall, the Casino, the Monte Carlo Pool, the Cavalier Motel, the Third Ave. Pavilion and beach, the Fourth Ave. Pavilion and beach, the Seventh Avenue Pool and beach, as well as Storyland Village in Neptune. But it is the Convention Hall connection that is perhaps the brother’s greatest contribution to the Asbury Park’s musical history. From 1946 to 1956, they brought the most famous “Big Bands” to Convention Hall each summer, including Tommy and Jimmy Dorsey, Harry James, Vaughn Monroe, Ray McKinley, Les Elgart, and many, many more. 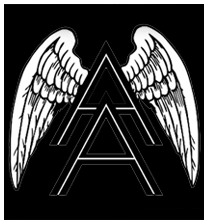 The Rediker brothers are schedule to be inducted into the Asbury Angels project this year. The project, which is in its third year, recognizes prominent and influential members of Asbury Park’s music scene who are then honored with plaques on benches on the boardwalk. The new 2014 inductees, including the Rediker brothers, will be recognized at “Light of Day’s Salute to the Asbury Angels,” at The Stone Pony on Friday, Jan. 17. Ocean Township resident and former Monmouth County Superior Court Judge Ira Kreizman, who is the nephew of Willie Rediker, said he is very pleased that the brothers are finally being recognized. “I think it’s great and it’s a story of Asbury Park’s musical scene that has long been neglected. People talk about the sounds of Asbury Park but not so much about the boardwalk and beachfront where people used to come all summer to listen to big bands and singers. And the Redikers were an important part of that,” he said. In March, 1946, Billboard Magazine described The Redikers’ Asbury Park Convention Hall as “the lush summer band stop on the East Coast”. As the popularity of the Big Bands waned, the Redikers brought in top singers of the era, including Tony Bennett, Joni James, Frankie Laine, the Four Aces, The Crew Cuts, Johnny Ray, The Platters, and many more. They also brought entertainment to the Casino and to the Monte Carlo Bar. On June 30, 1956, they broke new ground by booking Convention Hall’s first rock `n roll group, Frankie Lymon and the Teenagers – a popular African-American group. For the first time, white and black teenagers came together for the same concert and, unfortunately, the concert ended prematurely when fighting broke out. “It was a new kind of music and it all went bad. The riot moved from Convention Hall to other parts of the city,” she said. Mikle said that after the riot the city banned rock `n roll from Convention Hall and that the ban lasted until Moe Septee began booking acts in the 1960s. Kreizman said he was selling orangeade at a stand in Convention Hall when the riot broke out. “I remember it was a hot night and the place was packed. Then the whole place erupted. One person came up to me and asked for a napkin and I saw he has been stabbed with a knife. We just closed up the business and left the area,” he said. The Rediker brothers were born in Brooklyn, NY in the 1910s. They moved to the Jersey Shore in the late 30s/early 40s. They were jewelers by trade and proprietors of Reeds Jewelers in Asbury Park, Long Branch, Red Bank and Freehold, as well as several other Monmouth County towns. Reeds was the largest chain of jewelry stores in the state of NJ. The Rediker brothers are all dead; however, several of their children and grandchildren still live at the Jersey Shore. More information on the Asbury Angels is available at www.asburyangels.com.